Reading time – 37 seconds . . . 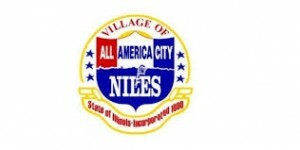 There was a vote by the village board in Niles, IL on July 22, 2014 regarding a zoning variance to allow a new gun shop to open within a mile of three schools and within 1 block of one of them. The board room was packed with citizens wanting their say on this hot issue and each wanted a win for their view. That is to say, everyone there wanted this to be a test of the Second Amendment. Back to the point: This was a zoning variance case. In order to get the variance approved the applicant had to pass three tests. Interestingly, the applicant failed all three. The application for a variance, though, was granted. Yes, you read that correctly: The variance was granted even though it failed all three tests for a variance. Some of the comments of the village trustees made immediately prior to the vote had to do with revenue for the village from the new gun shop. Others had to do with a fear of the cost of litigation if they were to deny the variance. Still others said that there would be increased safety because there would be training offered at the new gun shop and that would then be the safest place in the village. And, other than one woman on the board who instructed that the vote was solely about whether the applicant passed the necessary tests for a zoning variance, every comment by every trustee had nothing to do with the issue in question. Which leaves us wondering why the village trustees voted as they did. I think people are brainwashed into believing that their city or country needs revenue or that they will vote for anything that represents a job even at a cost of health and safety. I recently sent out a petition about the need to stop all this fracking and I sent it to those who I knew would probably sign it. One guy sent it back and said that we need jobs!!! Really? Do we need jobs more than we need to protect our health and environment … air, water supply and ground where livestock graze and and crops are grown??? Same logic with guns and fracking … it’s just a complete lack of knowing the facts behind the gun laws/permits and toxic chemicals used in the fracking process. It’s maddening that people think they have to have their guns for their “liberty” and “freedoms”, but where the h… are our freedoms to feel we can go to a theater, school, or mall without worrying about a “loose cannon” running around with a gun?? It’s maddening that those of us without a cabinet full of guns have to live with people who get their way with the proliferation of more guns in our society … it just leads to lawlessness and vigilante justice. I have received requests for information regarding the three tests an applicant for a zoning variance – a “Special Use Permit” – must pass in order to obtain a permit. Mr. Bruce Sylvester, Community Planner for Niles, IL kindly forwarded the following. Decide for yourself how a gun shop located a block from the school should fare in this simple pass-fail exam. (c) Will not cause substantial injury to the value of other property in the neighborhood in which it is located. Assuming your village board is elected, and failed to uphold the law, those not doing so should be replaced at the next election. We have enough totalitarian rulers in Congress and our state legislatures ignoring their constituents and the law and [municipal] executives ignoring constituents and not enforcing laws; therefore, if your village president falls into this class of officials that ignore their constituent wishes and the law, replacement is needed here as well. We now have readily available 21st century information technologies that could be very useful in local elections to replace those ignoring the wishes of their constituents. I can show any honest person wanting to run for office in any local community how to win any debate against an incumbent that acts above the law. So, one of the arguments was fear of a law suit? Is the fear of spending money more important to Niles residents than the fear of having their children involved in shootings? Is increased revenue really more important than community safety? Why is this country so in need of guns? Those who say that guns don’t kill people, people do are correct but do we really need to give them an easy tool for death? I don’t think so. This meeting in Niles you speak of clearly demonstrates the issue. We are afraid of fighting this and therefore leave open greater risks to our children. People from many other suburbs, and Chicago, attended the meeting to speak against the gun shop and gun violence. They were eloquent, sincere, and determined. It was inspiring. Thanks to you, Jack, for your presentation, to the organizers who made sure this was an issue that got public attention, and to everyone who made the effort to keep our communities safe.